I worked for the Gallup Organization for 17 years, and the first ten years of that was focused on pre-employment selection. Companies would ask us to build interviews that would help them determine which candidates would excel in certain jobs. That means I spent ten years interviewing people – a lot of people. So although I’m mostly known for my work on leadership, strengths, and talent management tools, I can also offer (what I think) is good guidance for how to stand out in interviews. Most people will tell you to be articulate about all of your accomplishments – they’re wrong. It’s far more important to be articulate about what you loved about your accomplishments. What drew you in while you were doing it? How did the task – not the accomplishment or the reward – make you feel while you were doing it? The most common answer to the question, “What are your strengths?” is “I like working with people.” Which is the epitome of vagueness. Don’t be vague, be specific and articulate about what you loved about your accomplishments. 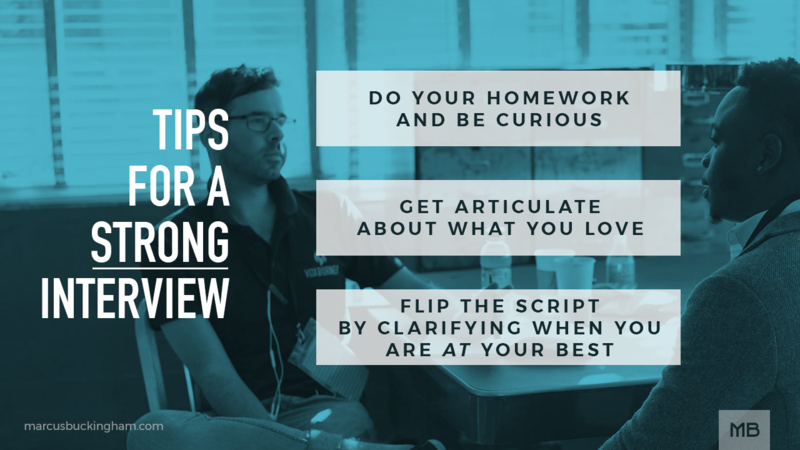 I’m not suggesting that you’ll get every job that you interview for if you follow this advice, but you’ll certainly stand out in interviews. Thank you very much for this sir. Do you have any additional advice for those of us who have been experiencing ageism? Can you give us three important tips for the person doing the interview?